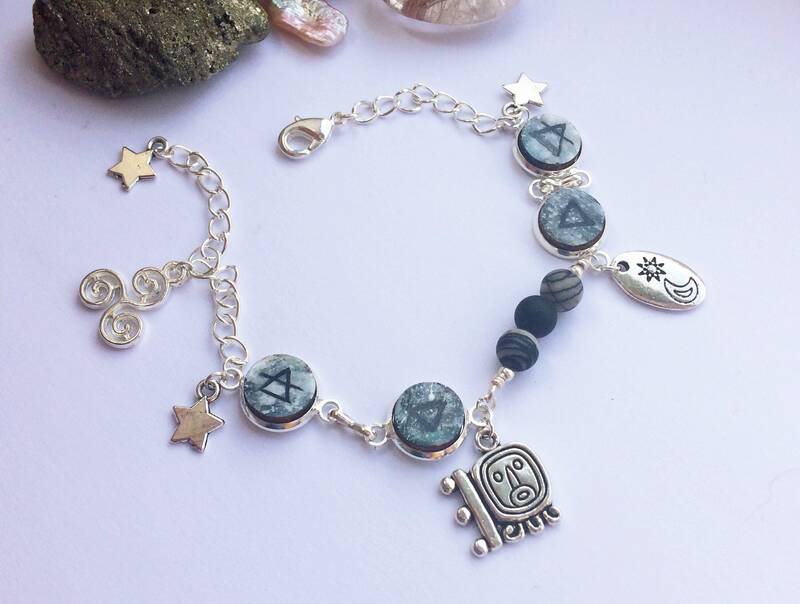 A unique and very special bracelet featuring each of the astrological elemental signs of Earth, Air, Fire and Water. 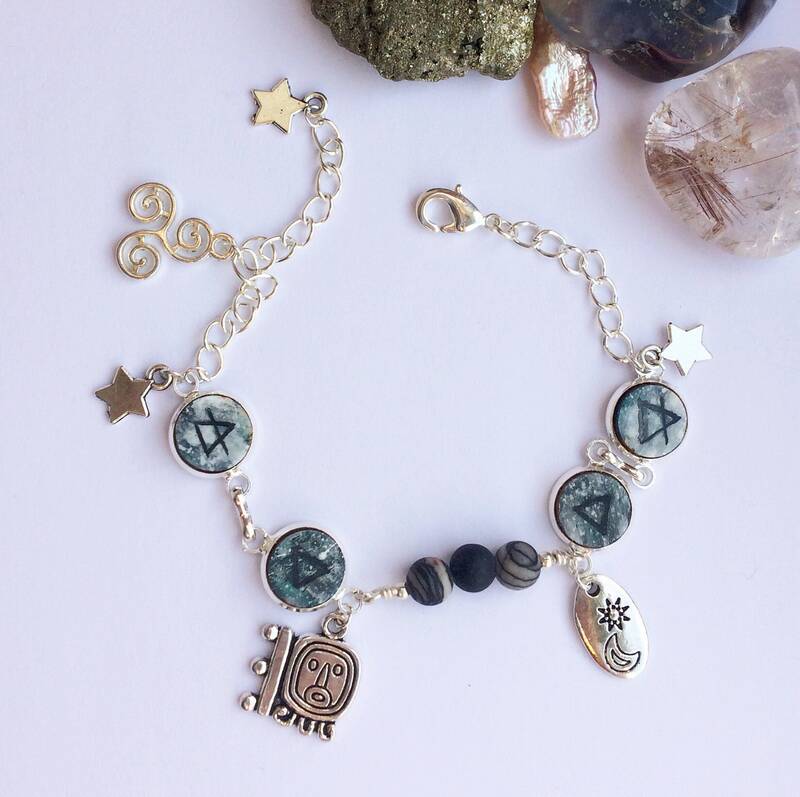 These are paired with beautiful agate beads and a mixture of celestial and primitive charms. 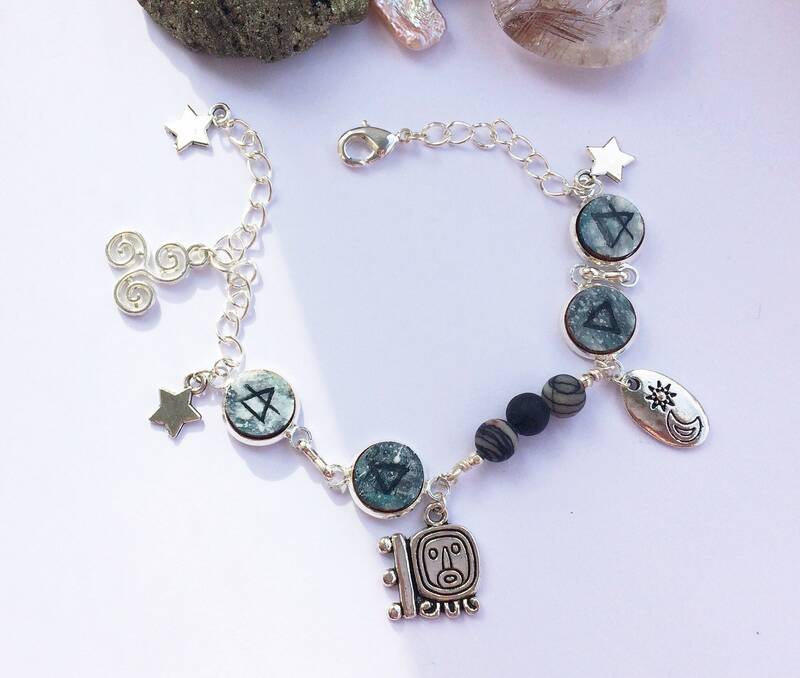 They are affixed with silver coloured wire, charms, lobster clasp and adjustable fit chain. The wood disc pendants are 1cm across, hand painted and varnished. The are first painted in a range of grey tones with the elemental symbol in black. This design of colour and line is echoed wonderfully in the agate beads. They vary in tones of white, black and grey with intricate organic striations. 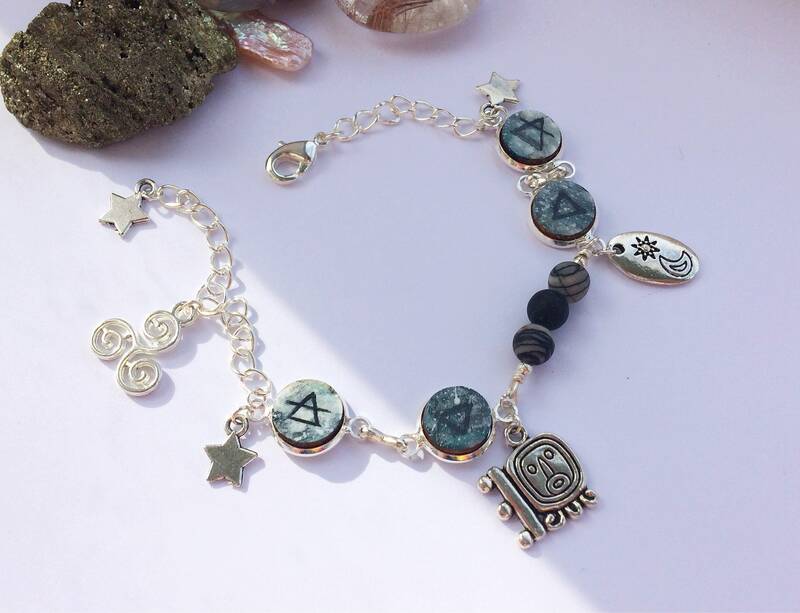 This extender chain means the fit of the bracelet is flexible from 15-20cm (5.9-7.8). 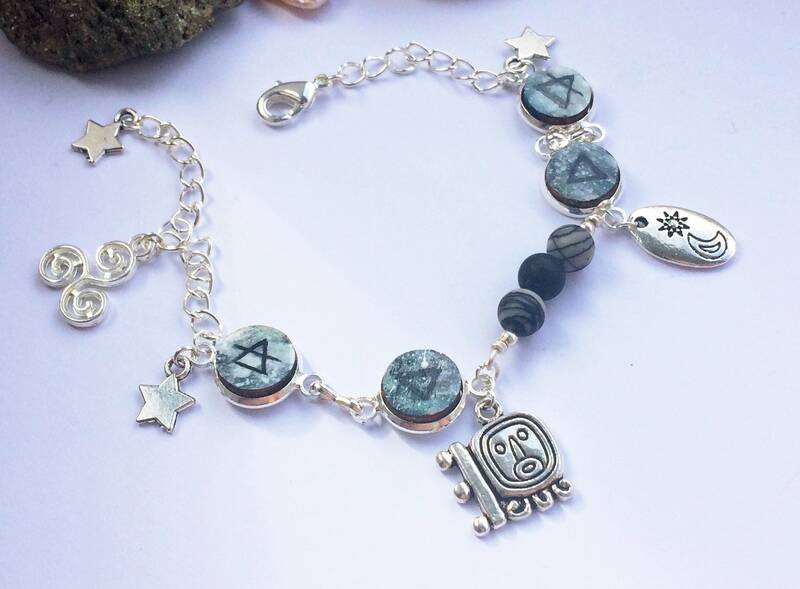 I've made a series of these bracelets with hand painted symbols paired with gemstones in a range of astrological and celestial themes. 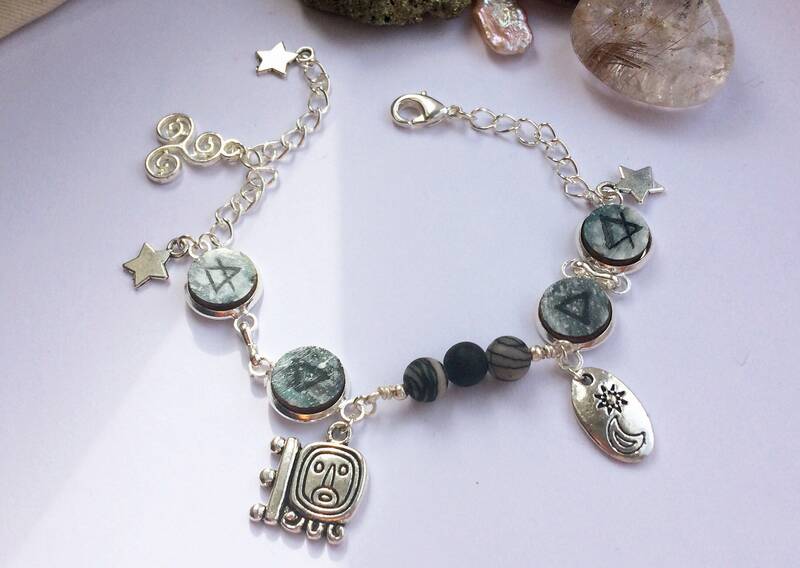 This includes zodiac bracelets, moon glyphs and a variety of sacred geography. This a subject I'm fascinated by and hope you find it interesting. Bracelets come presented in a decorative pillow box, uniquely lino printed.